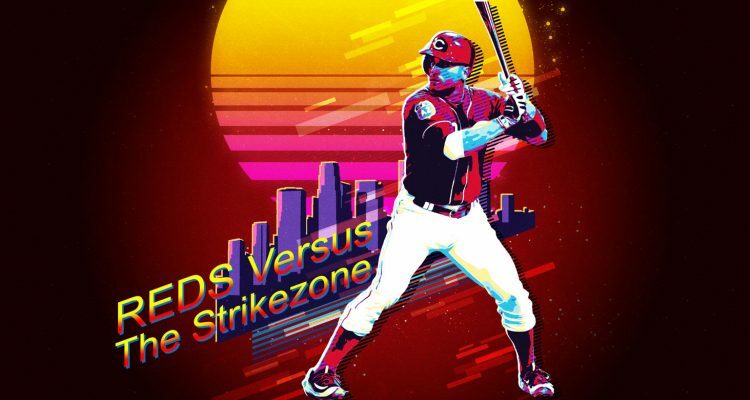 In this weeks episode of Reds versus The Strikezone we are going to take a look at the master of the strikezone: Joey Votto. Over the last eight seasons, Joseph Daniel Votto has walked more times than he’s struck out. He’s a rare breed in baseball these days when it comes to having more walks than strikeouts. He’s led the league in walks five times in the last eight seasons. The strikezone is something that he simply gets. And that understanding has led to him being one of the best hitters on the planet Earth throughout his Major League career. In 2018 he had his worst season by OPS+in his career. It was a mark of 125, tying his rookie year and his injury plagued 2014 season. The 125 OPS+ was the second best on the Cincinnati Reds, trailing just Eugenio Suarez at 135. Let’s take a look at how Joey Votto performed on pitches that would have been balls, or strikes had he not swung at them. No one in baseball swung at fewer pitches out of the strikezone than Votto did. He expanded the zone on just 16.4% of pitches. The league average is 30.9%. That means the average hitter swung at non-strikes nearly twice as often as he did. When the Reds first baseman did swing at those pitches, though, he made contact on them 78.4% of the time. That’s far better than the league average, which was just 62.8%. We know that Joey Votto doesn’t swing at much out of the zone. But how about in the strikezone? In 2018 he swung at what would have been strikes 68.6% of the time. That was more than the league average, which was 67.3%. On those pitches he made contact on them 86.7% of the time, which was also slightly above the league average of 85.5%. Unlike past seasons, Joey Votto didn’t exactly tear up pitches within the strikezone. When pitchers attacked the zone against him he hit .302. Only Tucker Barnhart had a lower average on strikes among the other nine players projected to get playing time for the Reds in 2019 (including Puig, Kemp, and Ervin). When it came to power, he also didn’t really stand out. He slugged just .473 on pitches in the strikezone. Only Barnhart and Peraza (by 1 point) slugged lower. When it comes to pitches that were outside of the strikezone, Joey Votto had some success. Sort of. 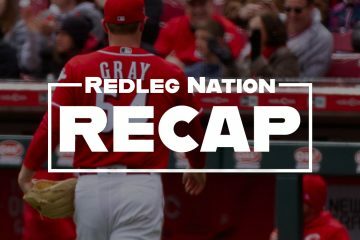 His .236 average on such pitches trailed just Scooter Gennett and Jose Peraza among 2019 Reds. But his slugging percentage on those pitches was just .268, giving him an isolated power number of just .032 – worst of anyone on the team among the projected 10 mentioned above. The chart above isn’t quite as drastic as we’ve seen from the other players thus far in this series. Like everyone else, Joey Votto is better in the zone than out of the zone. For Joey Votto to return to the player that he has been in the past he’s going to need to perform better on pitches inside of the strikezone. In 2018 he simply wasn’t all that good hitting strikes. In 2017 he hit .346 and slugged .668 within the zone. That’s a decent jump up in average, but it’s an enormous leap in power output. The difference in power is what has made Votto an elite hitter in the past, versus just a strong hitter in the 2018 season. Age eventually catches up to everyone. Is that what happened in 2018? Or was there just a strange set of circumstances that led his power output to be down in the year? Among 313 players on the Statcast leaderboards, Joey Votto ranked 18th in baseball when it came to difference between his actual slugging percentage and his expected slugging percentage based on the likely outcome of baseballs he hit in regards to their exit velocity and launch angle. This certainly would suggest some bad luck and a rebound could be coming. Still looking/hoping for a bit of a “resurgence” from JV in 2019, but he’s still the best at mastering the K-zone. Just think of his productivity in a couple of years when the DH comes to the NL (as I’m pretty sure will happen). Oh, and a major hat tip to the front office for not overpaying for Realmulto. It appears the Phillies will do that instead based on the daily update over at MLB Trade Rumors. He would have been a great addition, but not at the price Jeter and Co. were apparently asking. 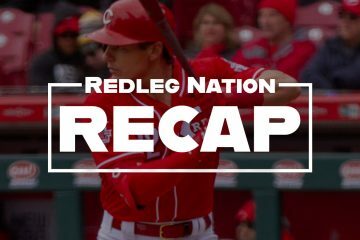 I expect a significant improvement for Joey Votto from 2018 to 2019, for two reasons. First, it does appear he was a bit unlucky last year on the expected slugging numbers. Second and more importantly, Votto is on record as saying he was too cautious in 2018. He expected to lose a little quickness due to aging and adjusted his approach to be a little more defensive. But he eventually realized that it was unnecessary – he was still plenty quick enough to be more aggressive (think 2017 Joey). If he makes the necessary adjustments I expect him to be a force in 2019. And no, I don’t have a source handy for this feedback and I vaguely remember it was part of an interview with Jim Day. And of course I’m paraphrasing. But if he can be more aggressive, pull the ball with power (even if it costs him a bit on his average) and bump up his OPS and OPS+ to a more Votto-esque range the Reds will have a formidable lineup indeed. That’s a key question for the 2019 offense and one we’ll probably all be watching closely. Frank Robinson has passed away at the age of 83. We have lost a legend, and an amazing human being. Good work, Doug. I’ve never passed up a Votto article and I wasn’t about to start now!